We’re happy to announce that The 78 Project: Volume 1, the very first soundtrack to The 78 Project, is out in stores and online today. 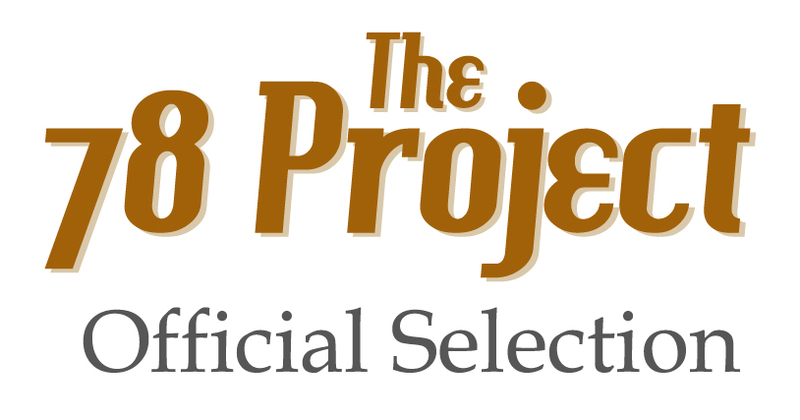 Now you can own 13 one-of-a-kind recordings from The 78 Project’s first web series on limited edition vinyl or digital, or both! The thirteen tracks on this album were all recorded in and around New York City between August 2011 and May 2012. They are one-of-a-kind musical moments in time performed by Richard Thompson, Loudon Wainwright III, The Wandering, Rosanne Cash, Marshall Crenshaw, Valerie June, Leah Siegel, Adam Arcuragi, The Reverend John DeLore & Kara Suzanne, Amy LaVere, Joe Henry & Lisa Hannigan, Vandaveer and Dawn Landes. 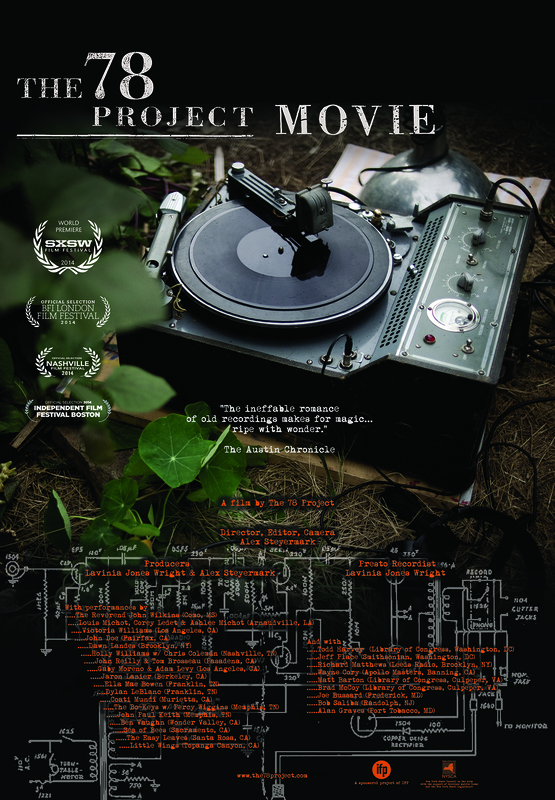 The 78 Project: Volume 1 is available in independent record stores nationwide through our distributor, Revolver/Midheaven, so ask (or dig) for it at your neighborhood vinyl shop and support local business! 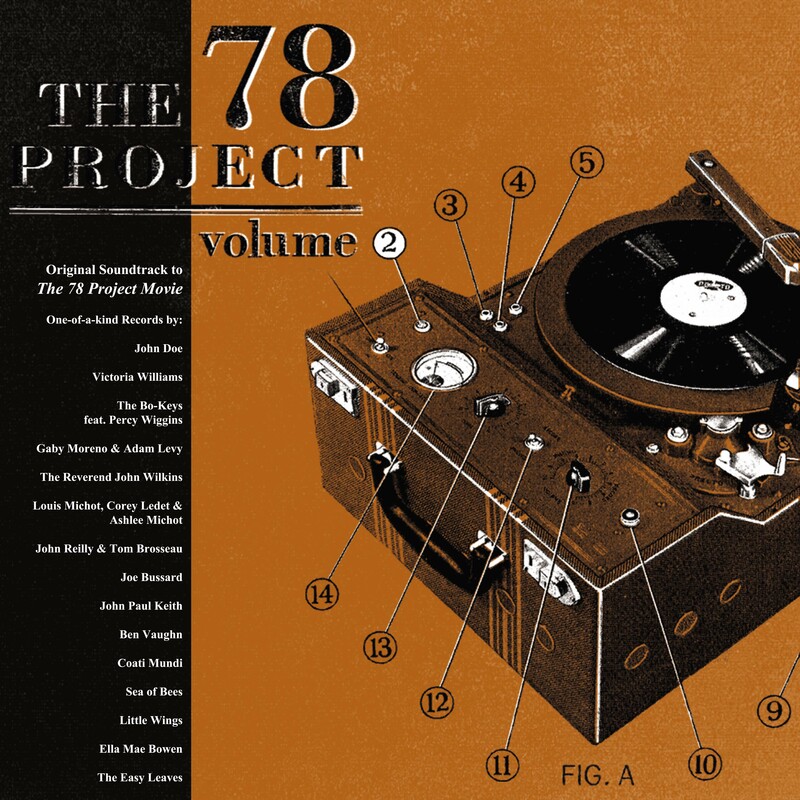 Buy The 78 Project: Volume 1 now on iTunes. 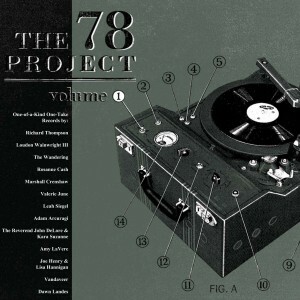 Buy The 78 Project: Volume 1 now on Amazon. 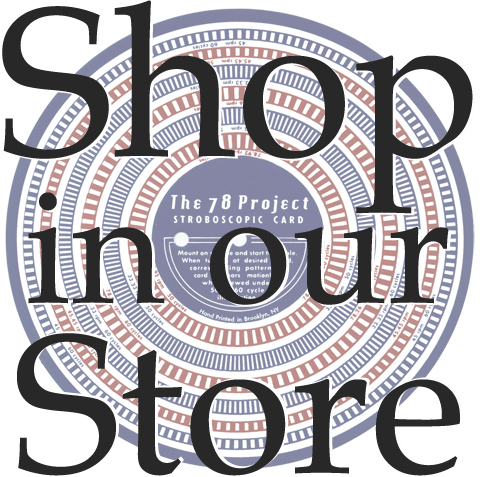 Buy The 78 Project: Volume 1 vinyl in The 78 Project Shop. In the comforts of early Fall, with the windows thrown open and nothing coming through but the sun, winter seems not to exist. It is just a story you’ve told and been told but never really believed; the cold a memory you can’t quite access from a distance. On this particular warm fall day, months before the polar vortex and the snowiest winter in years, Cedric Watson, Sidi Toure, Abdoulaye Kone dit Kandjafa and Desiree Champagne – collectively known as International Blues Express – perform the story of “Pa’ Janvier.” At the end of a day spent drifting out to the porch and back into the kitchen, once the sun and the garden has charmed us all into a pleasant stillness, the song sends a chill into the room. The violin, ngoni and guitar harmonize in a mournful breath, like a high-pitched moan of cold wind through a crack in the door. And Cedric recounts an old Cajun tale of the icy hand of old man winter come to steal his love. Donne moi Pauline. Now as we haunt our own houses through a forbidding winter, listening to the performance it could seem a prediction of what was to come. A fable that foretold our chilly fate. See International Blues Express – “Hanna” (Part 1), a traditional Malian song sung by Sidi Toure. It was exciting to find Miami pulsing with one big musical heartbeat. It was rapid and strong and kept you moving through the long, warm days and nights of Art Week.The world was in town for Art Basel, and we were invited by IFP to cut a record as part of One Million Square Feet of Culture. Having driven down from the snowy December of New York, we had a slower, more wintery feeling still pulling at us. And Jubal’s Kin, though they came from only as far north as Orlando, seemed to be feeling that pull, too. Three siblings, singing together, brought the tempo of the air outside down to a gentle, breathless thrum. We left the Presto on to capture the audience’s applause at the end, the first sound they had dared to make in almost four minutes. They weren’t the only ones, all of Wynwood seemed enraptured for that moment. The planes that had been flying overhead constantly, the car horns that had blared all day, the hard drive of the dozen nearby DJ’s, were quiet for a spell. Thank you to the tireless, amazing folks at IFP for curating such a beautiful event. The Creole musicians speak to their Malian bandmates in French. Most everyone in the room, Americans and Africans both, speaks French to one another, explaining what is being explained as the house is set up for the recording. 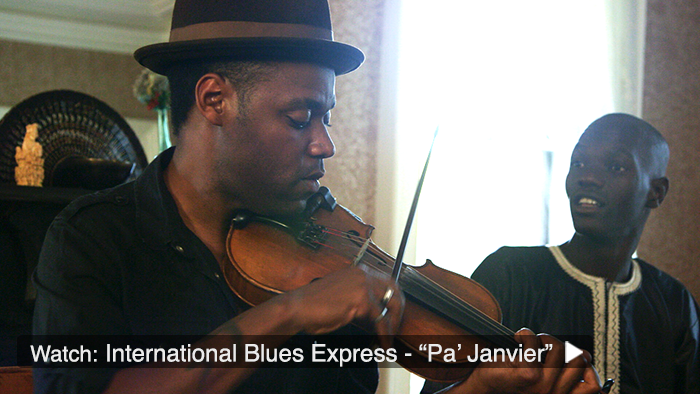 The four members of International Blues Express – Sidi Toure and Abdoulaye Kone dit Kandjafa from Mali, Cedric Watson and Desiree Champagne from Louisiana – are bonded by the common language, bonded to us by it, too. Heritage, experience and instinct all combine so that musicians, filmmakers, recordists, from different continents and different corners of them, are all communicating. The Creole and Malian musical styles and songs melt together perfectly. The bright plucking sounds of the ngoni and guitar dance lightly on the steady rhythm of the washboard and the fiddle’s dulcet drone. Celebration is something that we all experience, and we instinctively know the sound of a joyous occasion when we hear it. 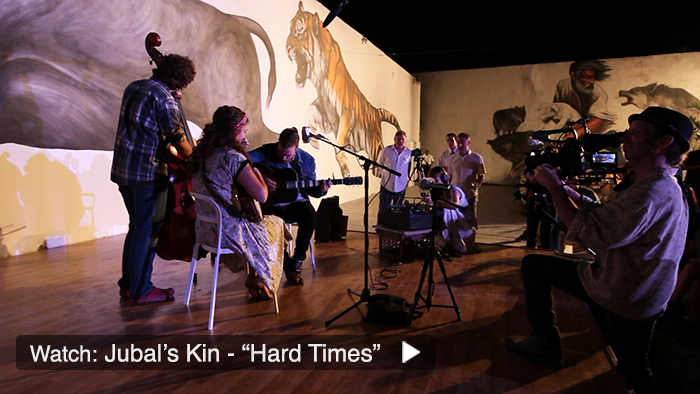 “Hanna” means a joyous all-night gathering, and is a song for celebrating the first child born into a family. It can take on a form that is endless, so that the dancing can continue until dawn. It is a song of thanks-giving. We are thankful for this day, thankful for the chance to see the world light up with this connection, the makings of a new musical genre emerge, the possibilities that collaboration and exploration can offer. 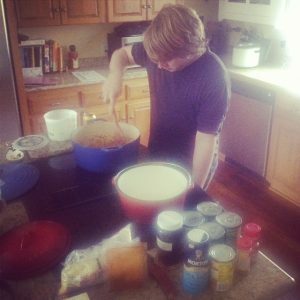 At the end of the day, the house is filled with the smells of the meal that everyone shares. The fundamental pieces of life are the same everywhere. The 78 we made with International Blues Express has two Side As. In the next installment, our Creole friends take the lead, and lead us from birth to the unknown beyond it. The Lindsley Avenue Church of Christ on a warm August day was ethereal, filled with morning light and the excitement of a new record about to be made. 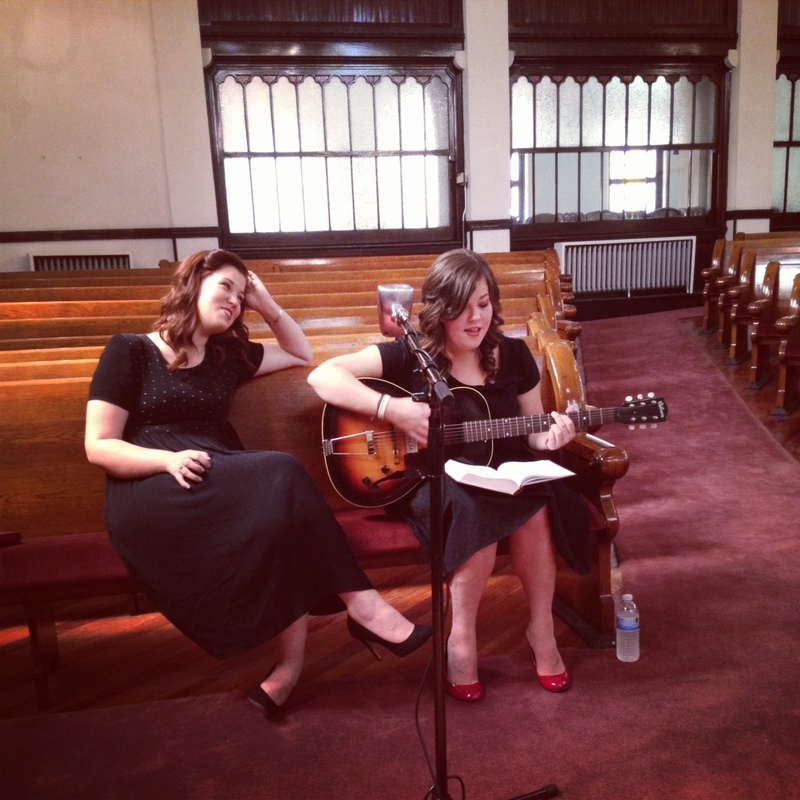 The Secret Sisters had a glowing loveliness brighter even than the stained glass as they warmed up to make their 78. While we set up, the girls took out the hymnal and sang their way through it. They knew every song, and their voices from so many years of praise and practice, were like perfectly tuned church bells ringing from their happiness. 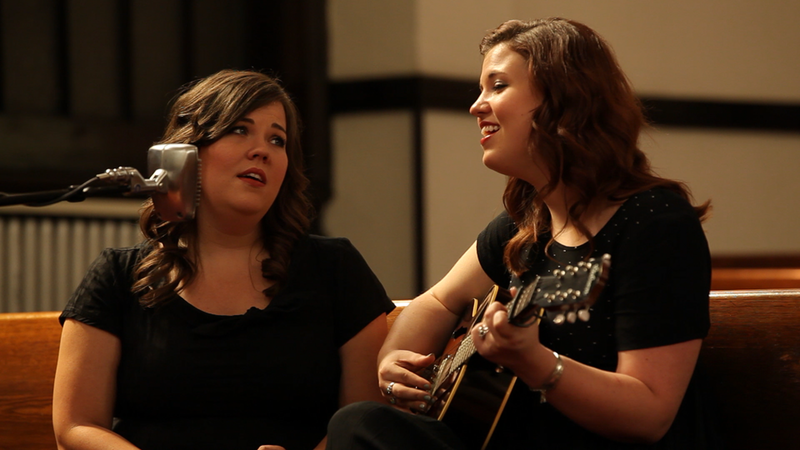 Lydia and Laura were raised in the church at home in Alabama. So singing a hymn brought back memories of their childhood. But their flipside, “Little Again” is an even more personal tune, sung by the two little girls who grew up together, running in rivers, scraping their knees, and building a sweet sisterly closeness into a lifelong musical bond. Thank you to the Lindsley Avenue Church of Christ in Nashville for generously letting us in and lending us their beautiful space. This week is the anniversary of our first road trip to make The 78 Project Movie. Thinking about the year as a whole, there has been such a wonderful symmetry to our experiences. The first and last trips both finished in Tennessee, and each trip has been filled with bright, unexpected moments. It felt this week as if we had truly come full circle, and we wanted to celebrate the first recording from our very first road trip made with the perfect person to set the tone for what would come during the year that followed. 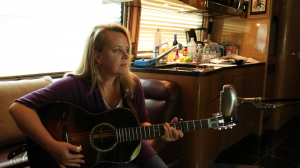 Mary Chapin Carpenter was a headliner at the Philadelphia Folk Festival, and she offered to spend the afternoon before her set making a record with us in her tour bus. The most gracious host that she is, she not only invited us with all of our gear aboard her home away from home, she also let us turn off her air conditioning so that it wouldn’t interfere with the recording and serenely braved the August heat. 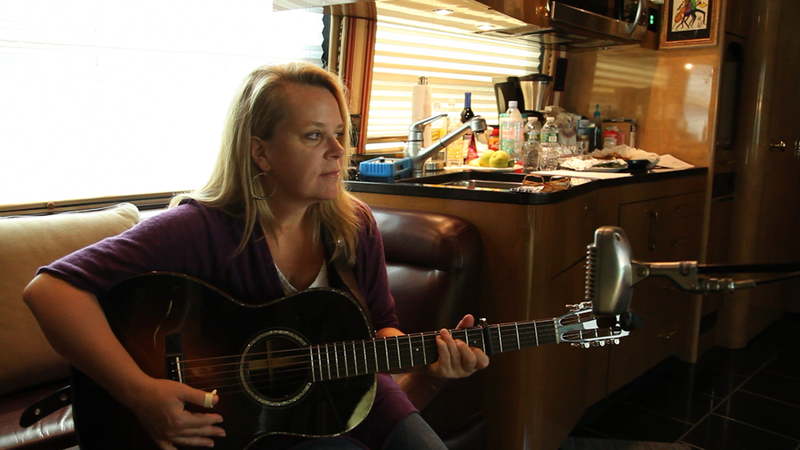 Mary Chapin’s nature is graceful, and her performance was powerful, a combination that mesmerized and awed us. She sang “The Water is Wide” with the sure, patient voice and agile finger-picking of a person who has always known a song. For our last two days recording this week in Nashville, we were thinking so much about how far we’ve traveled and of all the wonderful people we’ve gotten to know. In part because our last two musicians were so kind and generous, and in part because they all have been. 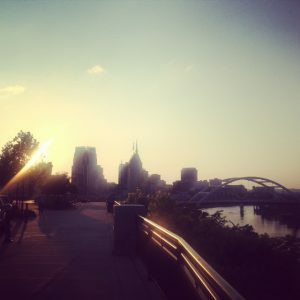 In Nashville, as in Memphis, we felt cozy and at home. Infinitely welcoming person that he is, Jim Lauderdale made us feel even more so. He gave us the run of a beautiful house from the 1890s, and a heartbreakingly gorgeous a capella performance of “Before This Time Another Year”. 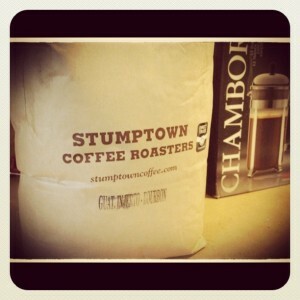 It’s no wonder that Jim is a constant collaborator. His musicality is superb, and he himself is the kindest of souls. We always say that our last day of each trip always brings a wonderful surprise, and it remains true. Each trip as we’ve spent our last afternoon making a record, something magical has occurred, and this last day in Nashville was no different. 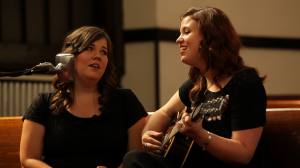 The Secret Sisters had arranged for us to meet in the Lindsley Street Church of Christ, and everything about the moment was beautiful. Lovely, real life sisters Laura and Lydia, their fluttery, haunting voices in tight sibling harmony, the light through the stained glass, the sounds dispersing through the air all the way up to the ceiling. When they sang “In the Sweet By and By” and an original called “Little Again,” they invoked the timeless closeness of family. And during the giddy playback, they overflowed with the fresh energy of new experiences. We drove out of Nashville as happy as we could ever be. The end of our last road trip is the beginning of everything that comes next for The 78 Project. We will edit our movie, continue making our web series, and feel fortunate every day that our work helps to bring many, many more singular one-take recordings to life. We woke up this week in Memphis, which feels like a home away from home to us now. We’re back in Tennessee after a week in Louisiana, our car filled with freshly cut records and as many of the spoils of Bayou cuisine as we could cram in around our gear. Last week was a wild one. 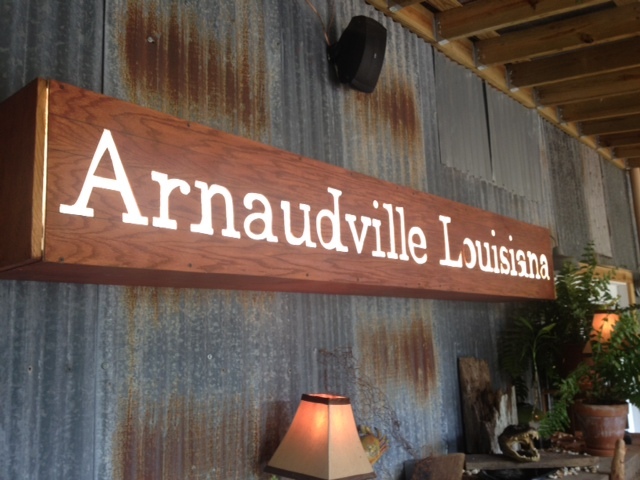 Our first stop once we broke the Louisiana state line was Arnaudville, where we were the guests of Louis Michot, Ashlee Michot and their sons for the weekend. Louis is a member of the phenomenal Lost Bayou Ramblers and a powerful fiddler with a voice straight out of the past. He and his wife are lively, fascinating keepers of a deep Cajun tradition. Louis built their beautiful house himself using old prairie methods mixed with modern ones, and Ashlee is a writer and translator of the music, lyrics, culture and life of their area. Along with the amazing accordionist Corey Ledet, the pair played the traditional Cajun song “Mon Chapeau” and “Maison Blanche,” an original that Ashlee had written. 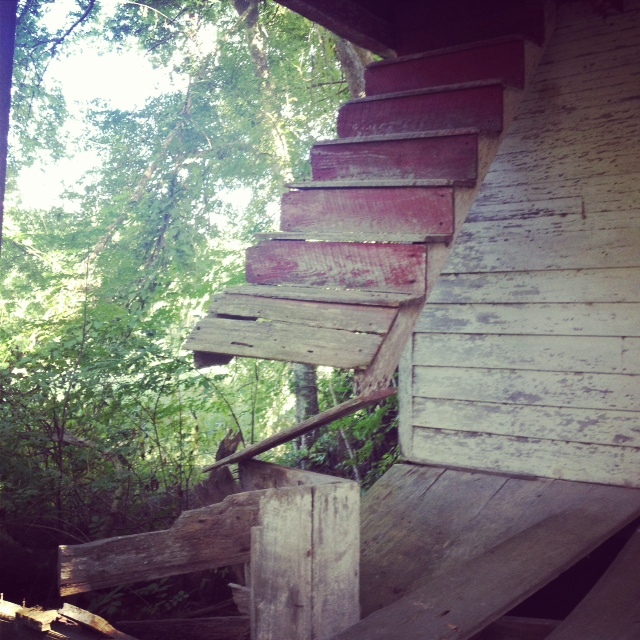 After a night in Lafayette checking out some young French-singing musicians with Louis and Ashlee, we spent the next day hiking out to an old house in the woods forgotten until recently and in serious, glorious disrepair. Exploring the property with Louis, Ashlee and their two young sons was a perfect way to see how the life of a Cajun family in Arnaudville, Louisiana has changed, and how it is still the same. The house, like Louis’, is built by hand, and filled with the echoes of family life. The children’s bed in the attic still remains, though it takes a death-defying jump up onto a falling down outdoor staircase to reach it. We were awed again and again by Louis and Ashlee’s extensive knowledge of the history of the area, their families and their culture. It was an unforgettable two days of stories and music at the Michots. We bid them farewell and headed back to Lafayette to meet Chris Segura of the band Feufollet who we planned to record the next day. He wanted us to hear some of the recordings he works with at the Archive of Cajun Music at the University of Louisiana in Lafayette. In 1934 Alan Lomax had visited the region and recorded many local Cajun musicians who had never been recorded before, and many who never would be recorded again. 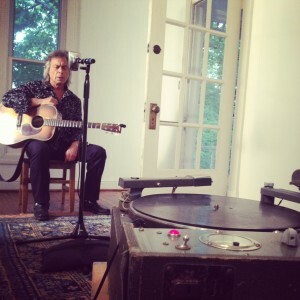 The performances he played for us, dubbed from the original discs at the Library of Congress, were breathtaking. Particularly recordings of the Hoffpauir sisters, all under the age of 9, singing songs their father had taught them in French, and a dizzy, strange and beautiful fiddle recording by a man called simply “Mr. Barnu” in the sleeve notes. One of the most interesting discoveries, Chris told us, has been that so many of the musicians Lomax recorded in that session are ancestors and relatives of folks still living in the area today. Including himself and his Feufollet bandmate Chris Stafford. It was such a pleasure to hear French being spoken just about everywhere by everyone young and old. And to see how having the language as a distinctive cultural asset bonds musicians to each other and to the traditions of their families. About three hours north in Marksville, we arrived the next day at the house of Gerard Dupuy. We’d heard his name a few times in the week leading up and in the months before we came, from Adam Arcuragi, who had played a show with him in Marksville, and from Louis, who is a distant cousin of Gerard’s. He’s called the Cajun Stump Jumper because he brings a Cyprus stump with him to shows and leaps up onto it in moments of particular spirit. These moments seem to characterize Gerard’s existence. In the days we spent with him in his beautiful house – which he built himself and improved over the course of 30 years to include church windows and vaulted ceilings – he introduced us to everyone and everything he possibly could in his area. We learned so much about the history of Louisiana. Gerard is an energized, gregarious living record of the whole place. With him we saw the town, ate the best crab burger and Cajun boudin sausage around, stopped by Bailey’s, the local venue where Gerard sometimes plays. 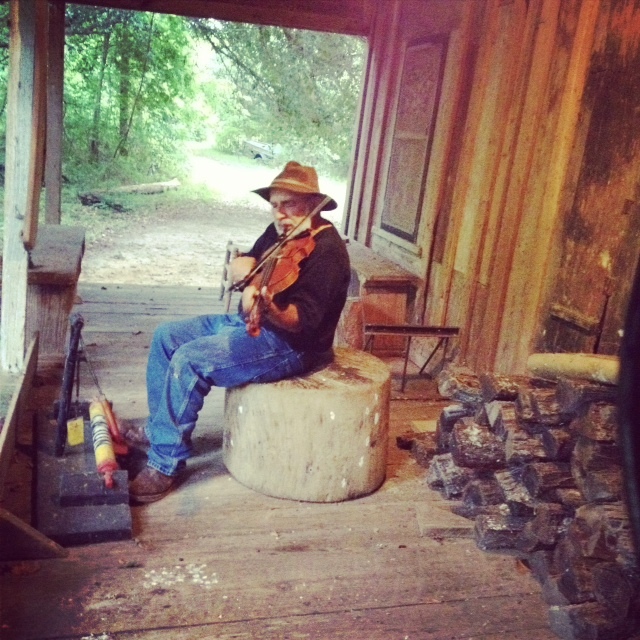 We surveyed Gerard’s more than 50-acre property including a beautiful 1920s cabin where his stump lives and where he played us some improvised songs. At the end of the second day he cut a record of a Mardi Gras call, the Cajun Mardi Gras during which a captain leads the town on a horseback ride to gather the supplies for the meal they will all eat together at the party that night. His style of fiddle and upright bass and singing are ethereal, like a musical séance. 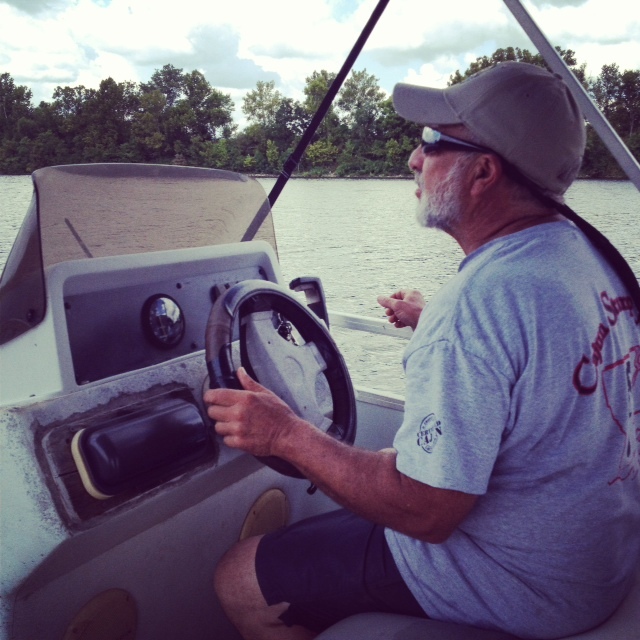 Since the Red River abuts his property, for our last morning in Marksville, Gerard took us on a boat ride to a small river island. We thanked him and bid him adieu and left overwhelmed, spinning with the stories and experiences of the week. A Sunday in the Bayou is as perfect as it sounds. Bright sun, fresh eggs from the chickens outside, and music all through the house. We made it to Louisiana! It’s been an eventful first couple of days on the road, and this trip feels filled with excitement and promise. 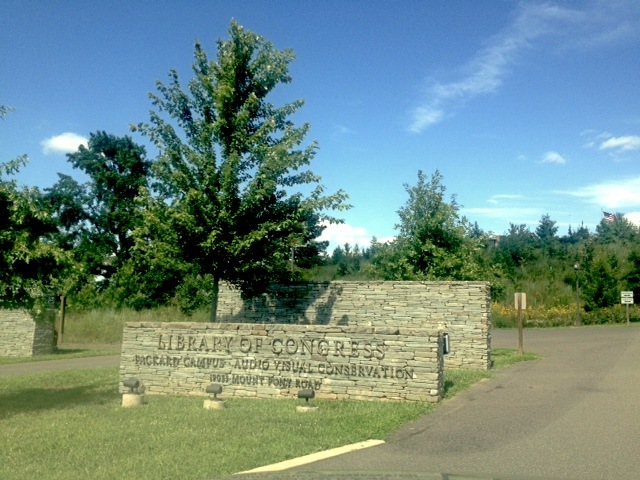 We started out with a visit to the Library of Congress Audio-Visual Conservation Center in Culpeper, VA. Built into the side of a mountain, the building is a beautiful sight coming up the road. And inside, it’s filled with treasures. 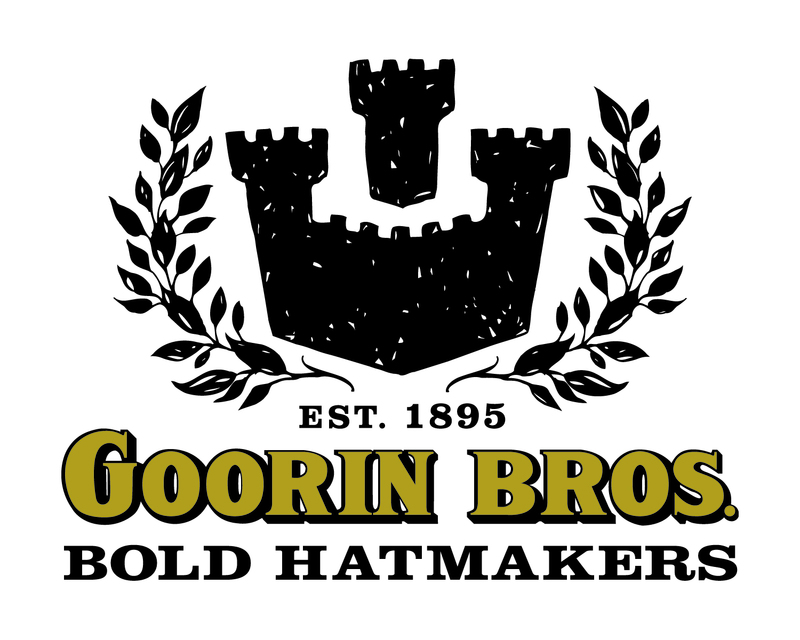 Matt Barton, Brad McCoy, and Bryan Hoffa were kind enough to show us around and demonstrate some of their process. They played us a 7″ shellac disc from 1905 to show us how they capture the sound, and taught us their tried and true trick for centering a disc punched with an off-center hole. It involves a pencil. 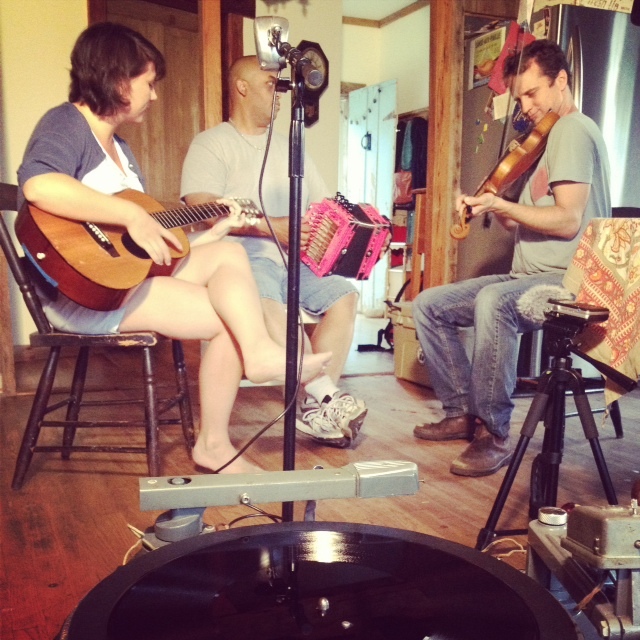 Rare recordings and recording gear, and expert archivists working hard to make the material available to the public. The history of our nation’s recordings are being preserved in Culpeper, and it was inspiring to see the wonderful work that they’re doing. And in fact, about 10,000 of the historical recordings they’ve transferred are available to stream on their National Jukebox. A quick stop in Lynchburg, VA and the lovely hospitality of some new friends Joan and George recharged our batteries for the long drive to Nashville. 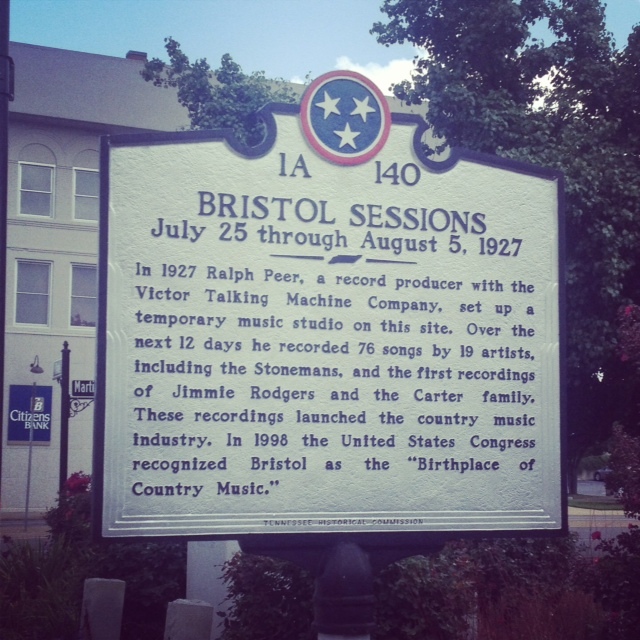 We crossed state lines at the Birthplace of Country Music: Bristol, TN/VA and we took in the sites for a few. It’s not every town that can lay claim to the first recordings of Jimmie Rogers and The Carter Family as well as count Clarence Ashley, Tennessee Ernie Ford and Uncle Charlie Osborne as one-time residents. If you find yourself there, might we suggest you eat at Eatz? 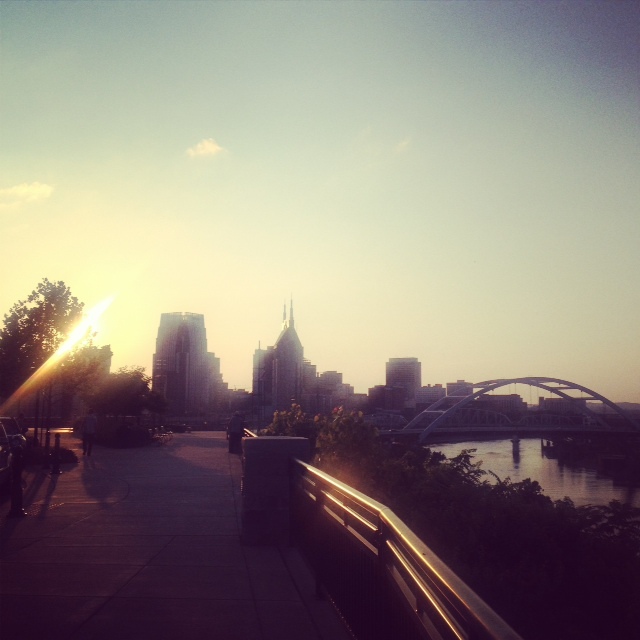 Nashville was as warm and welcoming as always, and it was wonderful to be there exactly one year to the week since we last came this way. But we couldn’t stay long, we were Louisiana bound! 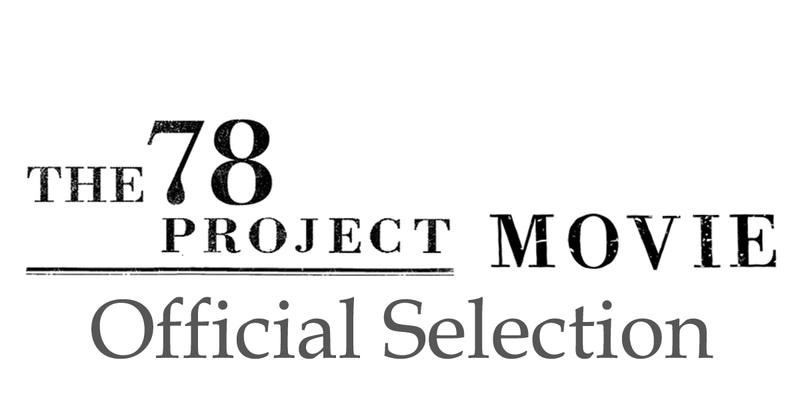 Since this is our last movie trip, it’s a great opportunity to support The 78 Project. 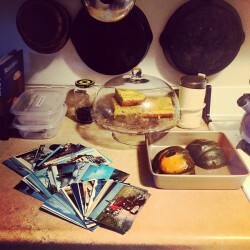 We have vintage Louisiana postcards in hand, ready to mail out to thank you for your generosity. 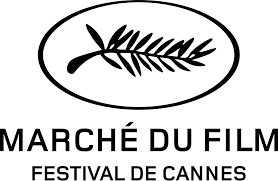 And it won’t be a long journey now from road to screen for the film. 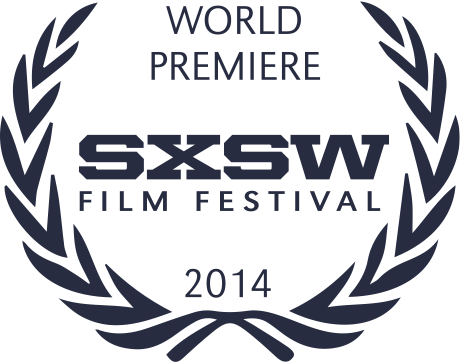 We’d love to see your name in the credits, and to see you in person at a screening. And if you donate to The 78 Project through our fiscal sponsorship with IFP your donation is tax-deductible. Donations we receive now will go to our post-production fund and will be essential in giving the film a beautiful finish!